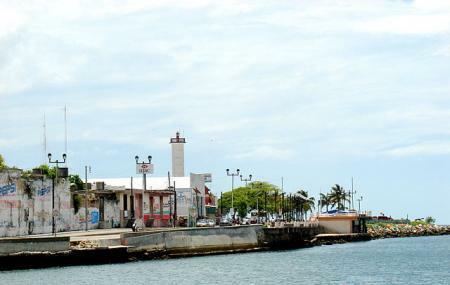 Bahia de la mala pelea is a popular tourist destination located in Champoton. Champoton is an important city in Mexico and has a rich and eventful history. Facing the Gulf of Mexico, this place offers some marvelous views of the crashing blue waves. The shoreline is indented and the sand is soft and warm. This place is ideal for fishing, as the salty water is home to a number of fish and marine animals. Head to this place for a spectacular view and fishing opportunities. Want to plan a DIY trip? Use Champoton trip planner for the same. Add accommodation and hotels in Champoton that suit your budget including the most recommended ones like Auto Hotel Familiar Villamar, Hotel Posada La Regia and Hotel Snook Inn. If you want to add the visit to Bahia De La Mala Pelea in your trip, you can choose from the variety of Champoton vacation packages that can be designed to suit your preferences. These packages also cover your major concern of how to reach Champoton. Love this? Explore the entire list of places to visit in Champoton before you plan your trip. Fancy a good night's sleep after a tiring day? Check out where to stay in Champoton and book an accommodation of your choice. Near this site was a restaurant named La Inicia (the first seaside eating place you encounter on the road from Campeche to Champoton). We stopped there for a late breakfast and were delighted with the food, service, view and general ambiance. The restaurant is palapa covered with open sides and right next to the water. Excellent seafood omelet! Comprende las costas de la ciudad de Champotón y la comunidad de Paraíso, sitio donde se dio la defensa por los mayas de su territorio derrotando por primera vez a los extranjeros españoles por lo que se le llama "Honra de América". Actualmente igual se le llama la "Capital del Buen Sazón" por sus exquisitos platillos de comida regional como los muy buscados "camaroncitos" con los que se preparan ricos cócteles, ensaladas, panuchos, sopas entre otros guisos.